Memorial services for Betty Weihrauch, 94, of Groton will be 6:30 p.m. on Wednesday, November 14th at Paetznick-Garness Funeral Chapel, Groton. Rev. William Duncan will officiate. Private inurnment will be in Union Cemetery, Groton. Visitation will be held for one hour prior to services on Wednesday. Betty passed away November 9, 2018 at Groton Care and Rehabilitation Center. Betty Ruth Weihrauch was born May 15, 1924 on a farm northwest of Groton, SD to Henry Jr. and Agnes (Jost) Weihrauch. She was baptized and confirmed in the Trinity Lutheran Church at James, SD. Betty attended grade school in the Henry Township and graduated from Groton High School in 1942. She was employed at Woolworths for 3 years, Northwestern Bell Telephone Company for 7 years, South Dakota Employment Security Department for 8 years and retired in March of 1989 after 23 years at the Brown County Auditor’s office. 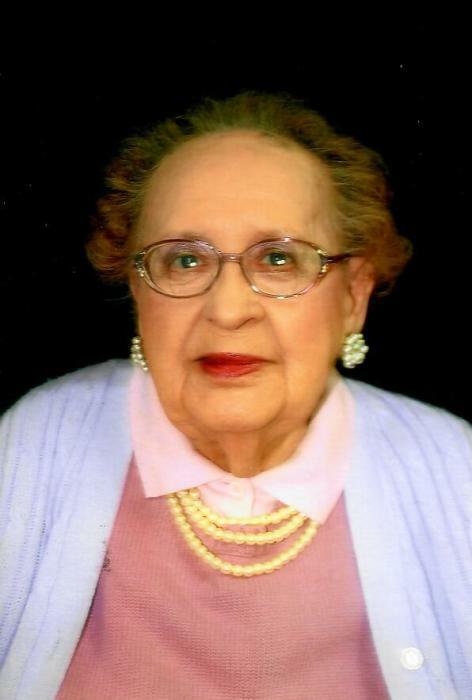 She was a member of St. John’s Lutheran Church, Groton, SD, Good Cheer Circle and LWML Ladies Aid where she served several times as the treasurer. Betty enjoyed sewing, crocheting and serving her church. Betty is survived by her nephew, Clyde (Colleen) Neuman of Portsmouth, Rhode Island, grand-nephews, Brian (Erika) Neuman and Sean Neuman; five great-grand-nephews and one great-grand-niece, and special friends, JoAnne and Wynella. She was preceded in death by her parents; her sister and brother-in-law Alvera (Eugene) Neuman; and a grand-niece, Michaela Neuman. Condolences may be sent to JoAnne Ehresmann, PO Box 227, Groton, SD or Wynella Abeln, 306 North 3rd St, Groton, SD, 57445.